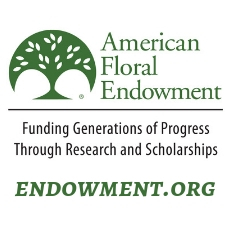 Note: This P&P consumer floral research utilizes the latest U.S. household projections for 2015 to 2020 from estimates determined by the Joint Center for Housing Studies at Harvard University (McCue, 2014). The P&P consumer floral research from 2007 to 2013 was sponsored by Smithers-Oasis North America (SONA). P&P thank SONA for their financial support in making this research possible, providing benefit for the entire floral industry. Prince & Prince, Inc. (P&P), a leader in market research focused on the floral and green plant industries, has released a projection for the number of U.S. households making a floral purchase for Valentine’s Day 2018, and the total retail value of that holiday floral purchasing. Valentine’s Day is Wednesday, February 14th, 2018, and on this day, nearly 44 million U.S. households (43.8 M) will have made one or more floral purchases to celebrate love, compassion, and romance with significant people in their lives, in or out of the household. And what better way to say, “I love you!”, than with flowers. The P&P U.S. consumer floral aggregate spending projection for Valentine’s Day 2018 is $3.4 billion dollars at retail, including all fresh floral products (fresh cut flowers, including roses, arrangements, bouquets, bunches, single stems, and corsages, and indoor potted flowering and foliage plants & planters) and any associated delivery/ service fees. This projected market value for Valentine’s Day 2018 is about $106 million more than P&P’s 2017 Valentine’s Day market projection. about consumer floral purchasing for Valentine’s Day have been previously reported by P&P (Prince & Prince, 2017a, Prince & Prince, 2014b). Prince & Prince has been tracking U.S. consumer floral purchasing behavior for Valentine’s Day, and floral purchasing for 23 other holidays, events, and occasions, over the past two decades with their periodic surveys of floral-buying households (over 6,000 randomly-selected households surveyed since the initial survey in 1996, as well as surveys in 1998, 2000, 2007, 2010, and 2013; Prince & Prince, 2014a). Thus, P&P is able to identify salient consumer floral-purchasing trends over time for the floral industry. P&P’s latest update of the U.S. consumer floral tracking survey is scheduled for later this Summer/ Fall (see below). occasion/ holiday trends to their clients in the floral industry, who can then incorporate this salient market information into their business and marketing strategies. Prince & Prince is currently seeking research co-sponsors for a 2018 update of the P&P U.S. Consumer Floral Tracking Survey. This consumer research reveals the types of consumers who buy fresh floral products, what they buy, where they buy, when they buy, why they buy, & how much they spend on fresh cut flowers & indoor potted plants (specific survey content at the P&P web site). The 2018 survey will be the seventh national P&P consumer floral tracking survey conducted over the past 22 years. For 2018, the P&P consumer survey will employ a “mixed-mode” survey distribution, utilizing both mail and Internet-based survey methodologies, to obtain the most representative and valid survey information (Dillman et al., 2014). 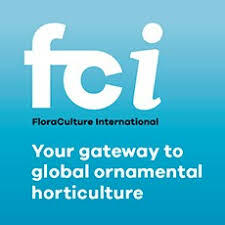 P&P research co-sponsors receive the consumer floral market information first thru a one-day, on-site seminar with Q&A, and the complete 800+ slide market research presentation on a flash drive. The on-site seminar is tailored to the information needs of the individual research co-sponsors. Co-sponsors also receive exclusivity of the consumer information for a one-year period, following completion of the research. Interested companies should contact P&P shortly for research sponsorship opportunities. Dillman, D.A., Smyth, J.D. and Christian, L.M. (2014). Internet, Phone, Mail, and Mixed- Mode Surveys (Fourth Edition). Hoboken, NJ: John Wiley & Sons, Inc. Prince, T.L. and Prince, T.A. (2017a). U.S. Consumer Floral Market Projection for Valentine’s Day 2017 Holds Steady at $3.3 Billion Dollars. Columbus, OH: Prince & Prince, Inc. (P&P Market Report). Prince, T.L. and Prince, T.A. (2017b). Prince & Prince Project a $4.2 Billion Dollar U.S. Consumer Floral Market for Mother’s Day 2017. Columbus, OH: Prince & Prince, Inc. (P&P Market Report).